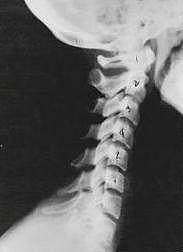 This is a representation of one type of subluxation. 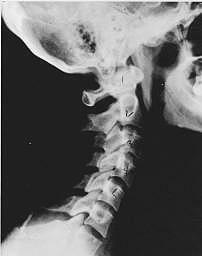 A subluxation, as defined by the Association of Chiropractic Colleges is: “A subluxation is a complex of functional and/or structural and/or pathological articular changes that compromise neural integrity and may influence organ system function and general health.” When a subluxation occurs it causes nerve interference in some portion of the body affected by those nerves. 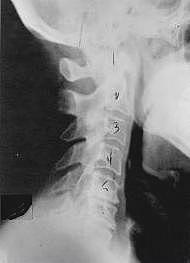 The subluxation causes changes to the structure as well as the nerves. 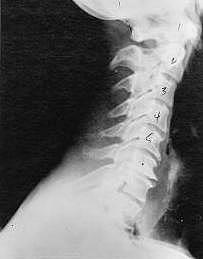 These changes get progressively worse as time is allowed to work on the subluxated area of the spine. 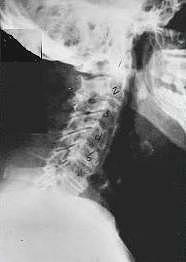 These changes take the form of ongoing degeneration known as “subluxation degeneration”. By understanding the type and amount of changes, it is possible to reasonably estimate the time subluxations have been present in a spine. Having this information is useful in understanding the time and effort needed for correction.